The hippopotamus, common hippopotamus or hippo (Hippopotamus amphibius), is one of the largest land mammals today. Only elephants and the white rhinoceros are larger. Adult male hippos have an average weight of 1,500 -1,800 kg (3,300-4,000 lb) and females averages 1,300 kg (2,900 lb). Old male hippos sometimes reach 3,200 kg (7,100 lb), and the heaviest specimen recorded weighed as much as 4,500 kg (9,900 lb). Although similar to other herbivore species, their closest relatives are actually the cetaceans. Hippos have huge bodies and short legs, and can to many look like slow and docile animals. A hippo can actually run up to 30 km/h (19 mph), and will outrun most people with ease. 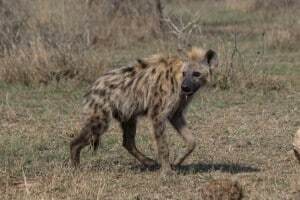 They are also extremely aggressive, and are often said to be the mammal that kills most people in Africa. 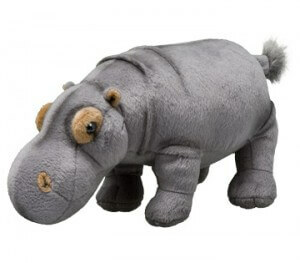 Hippos are semiaquatic and spend most of their life in the water. 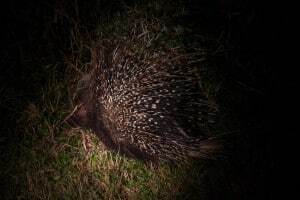 They come up to dry ground at dusk and will spend four-five hours of the night feeding on grass. A hippo can consume 68 kg (150 lb) of grass in one single night. On cooler days, such as in winter time in Southern Africa, it is common to see hippos out of the water for longer periods of the day. This is not only because of the cooler climate, but also because of the lack of bothersome biting flies during that time of the year. 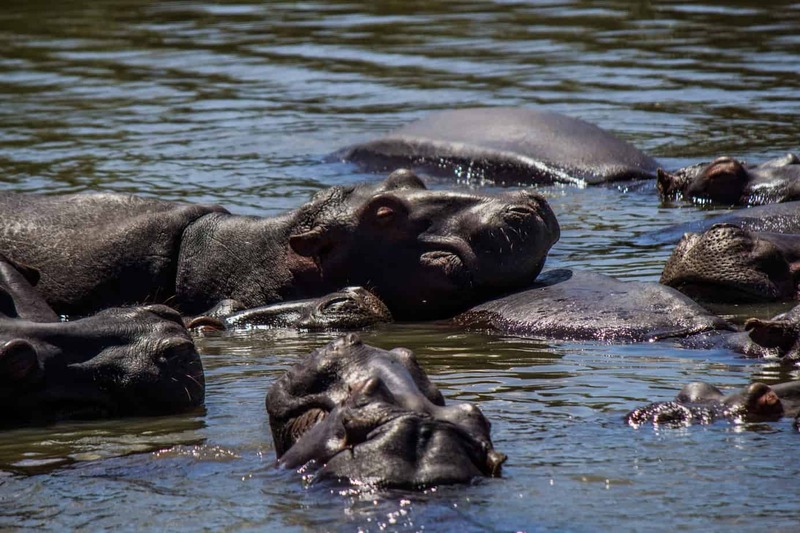 Hippos also secrete a reddish chemical substance that act as a sunscreen, but the skin will crack if they stay out in the sun for too long. 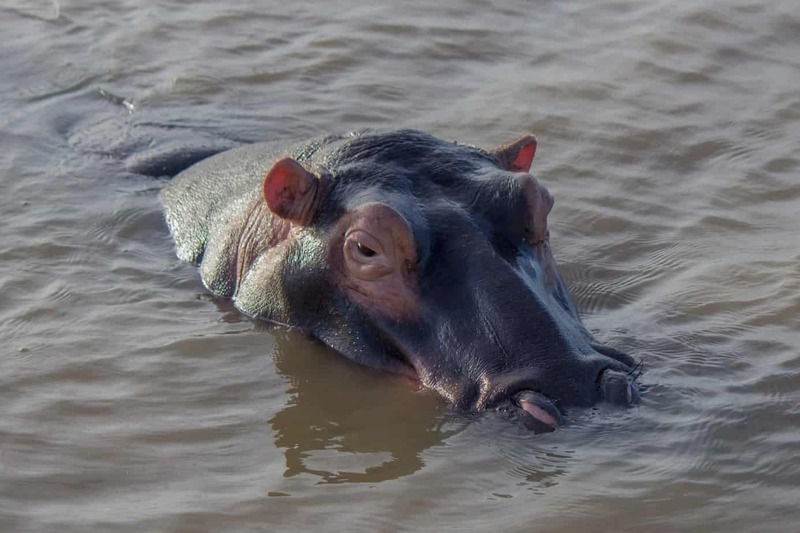 Hippos are actually not very good swimmers, and they do not float very well. 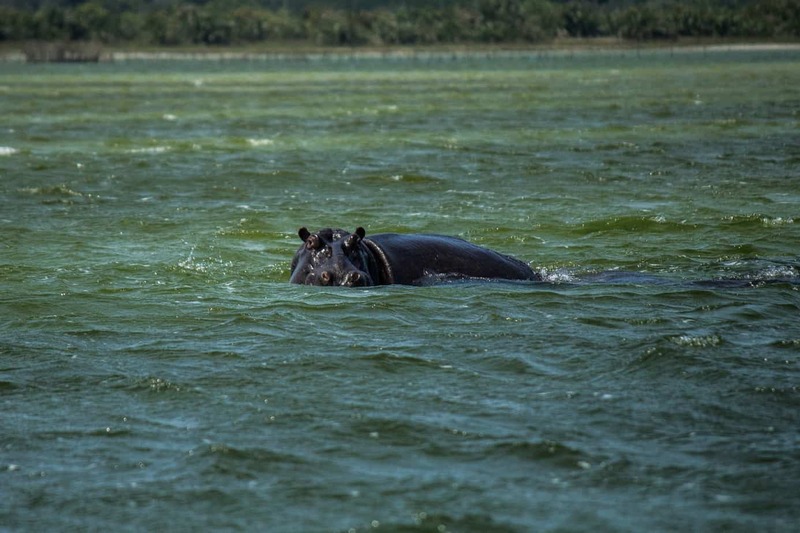 Because of this, hippos are rarely found in deep water. When moving through deeper water the hippo will propel itself forward by leaping across the bottom. They can sleep under water, and unconsciously go up to breathe as they do this. Their nostrils automatically close when submerged and open up when surfacing. 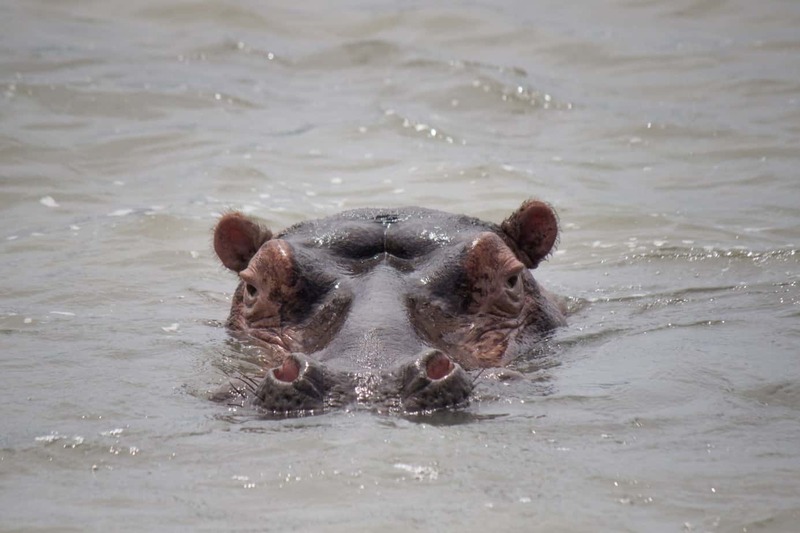 Hippos generally live peaceful lives with few natural predators, except humans, although lions, crocodiles and spotted hyena sometimes go for young individuals. 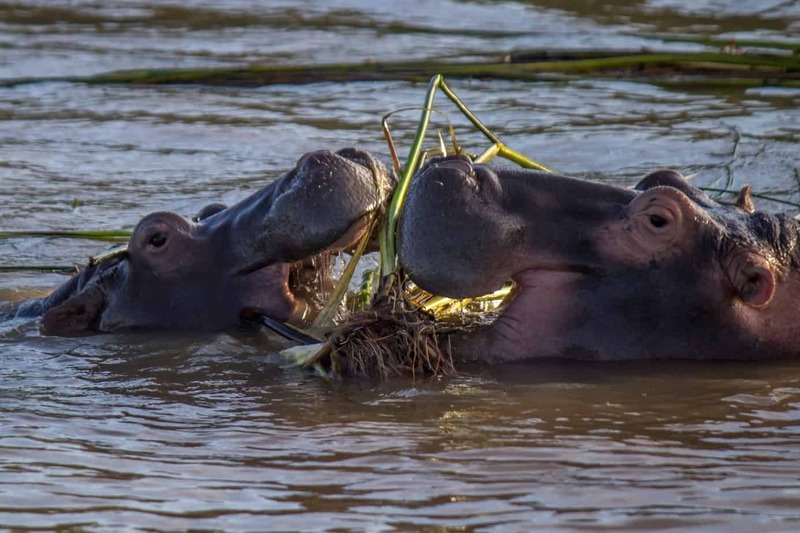 Interestingly, hippos have been observed feeding on dead hippos as well as other carrion, but this is not common and a hippo will very rarely kill to eat meat. 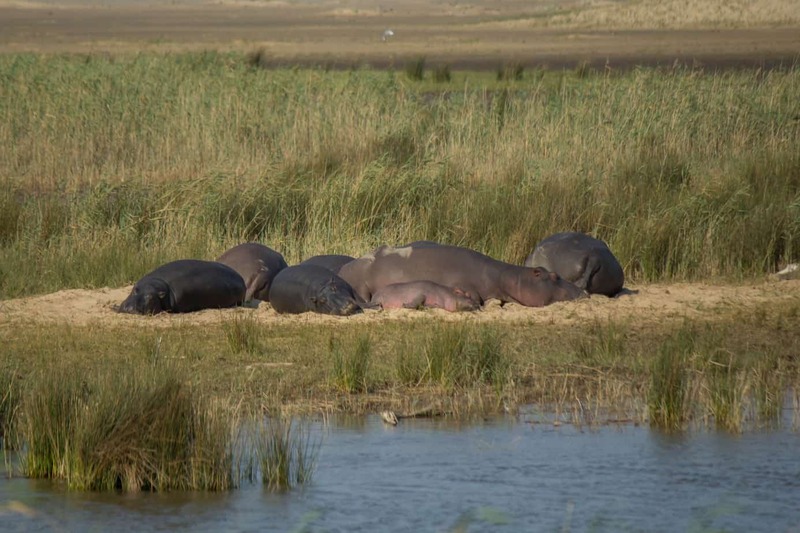 When in water, hippos live in social structures called pods. One pod is generally led by a dominant bull whose territory, on average, spans a 250 meter length of water. The territory does not expand onto dry land. Around 10 females are normally found in a pod, and groups of bachelors can be allowed as long as they stay submissive to the dominant bull. Some pods have been known to have over 100 individuals. 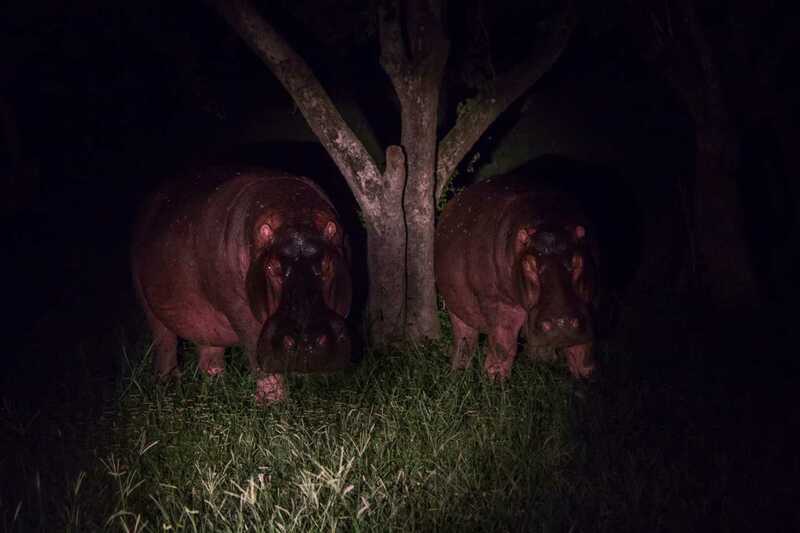 Hippos often stay very close to each other, but the reason remains unknown. 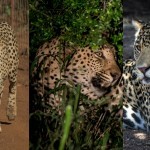 Females tend to group with females, bachelors with other bachelors and the dominant male is often on his own. 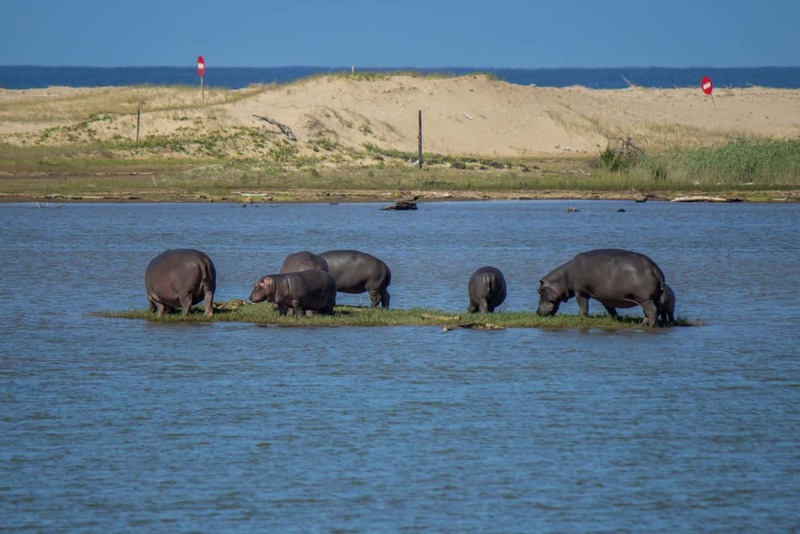 While hippos are social in the water they are solitary feeders and will graze independently from one another. Here is a video of a typical pod of hippos with young. 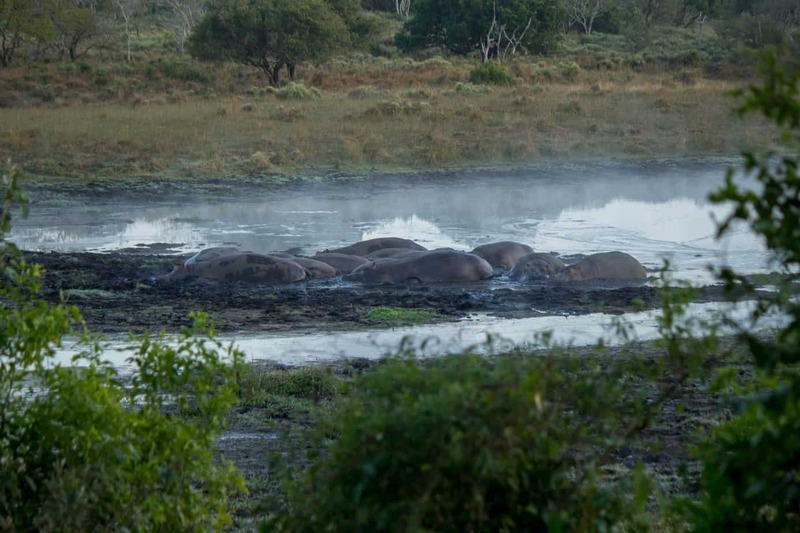 The video below shows a more spread out pod where two hippos are playing in the water, which is not uncommon. Also notice the one hippo opening its jaws to an almost 180° angle. As with most other social activity, mating happens in water, and the female stays submerged throughout the act and will only resurface to draw breaths of air. A baby hippo will be born under water after a gestation period of eight months, and will weigh between 25-50 kg (55-110 lb). When the water is too deep, the calf will rest on the mothers back, but will go under to suckle. It will also suckle when on land. Mother and calf will always be close to each other in a pod. Hippos are known for their aggressiveness. Mothers and territorial bulls often attack other animal species unprovoked. 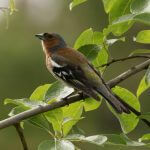 Due to their temperament they have few natural enemies that will willingly attack an adult individual. They have a low tolerance for crocodile presence in the water and will readily attack the crocodile. Instances have been known where a hippo has severed an adult crocodile in half with its jaws. The canines (upward pointing) and the incisors (outward pointing) in the lower jaws of hippos are sharp and terribly dangerous weapons. They will use these to fight off anything they deem as a threat, as well as in territorial fights. In fights, bulls will use the canines to inflict damage, and the incisors to block the opponents attack. Because of their thick skin, such fights rarely end with deaths. 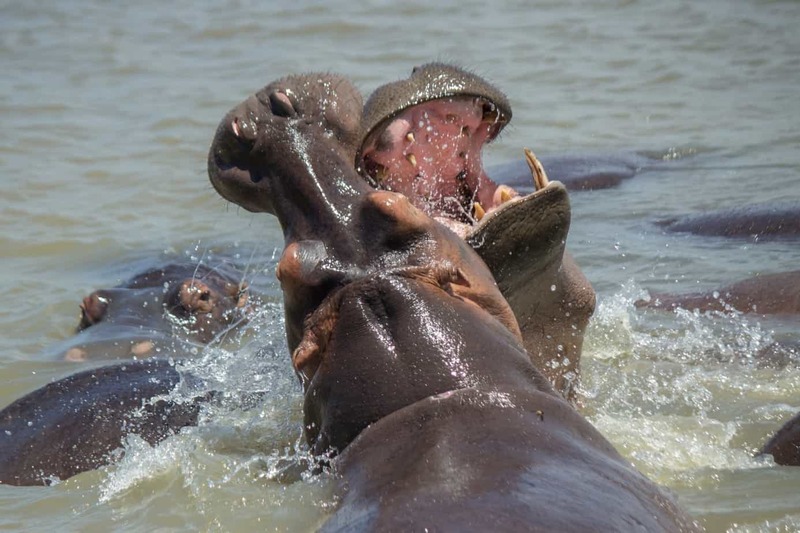 Hippos often attack humans and will even attack small boats. 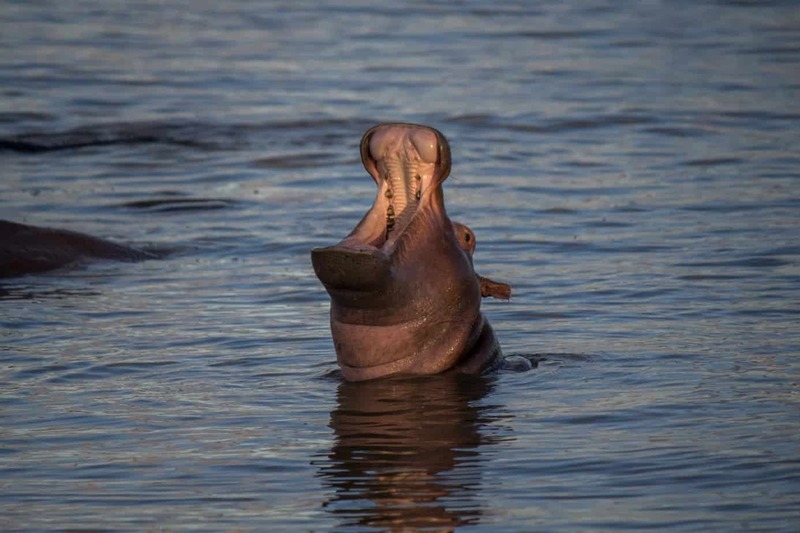 There are just a few recognized subspecies of hippo, divided by geographical range and skull differences. 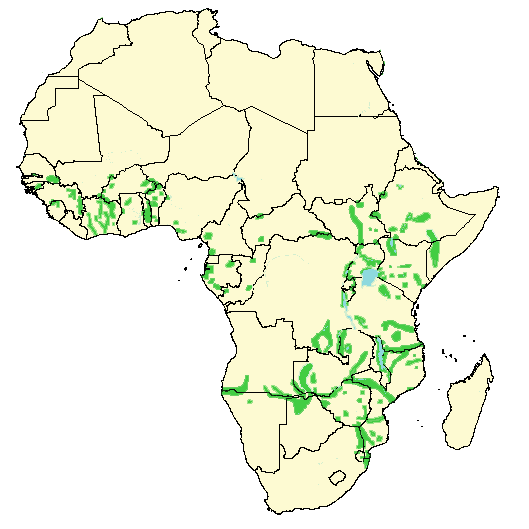 The species is now found in patches throughout sub-Saharan Africa, but used to be found all the way up the mouth of the Nile in Egypt, where it is now extinct. Between 125,000-150,000 hippos are believed to remain in the wild. 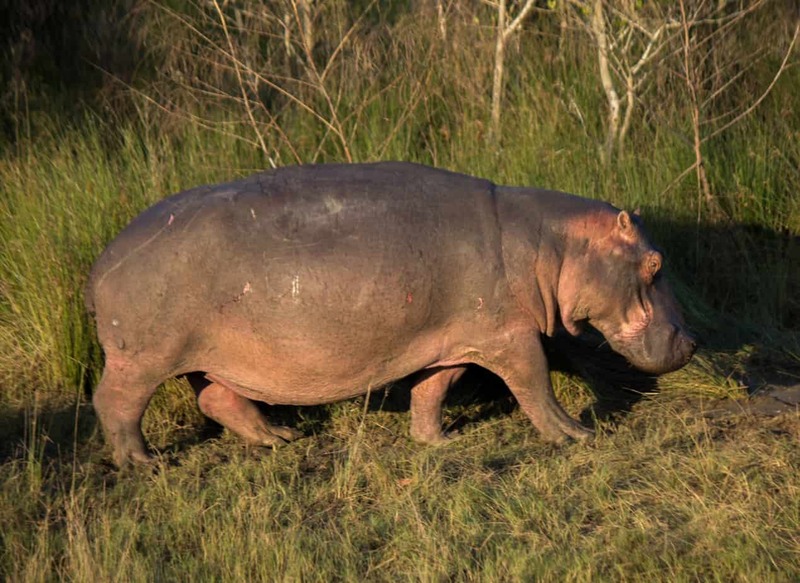 The hippo is listed as vulnerable on the IUCN Red List. Main concern throughout the range is loss of habitat and water sources. 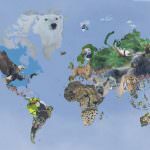 Poaching and hunting is also a major threat. 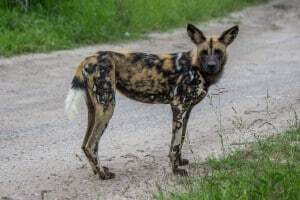 The biggest decline has been in the central African countries where they are frequently killed for meat, ivory and the fact locals do not want them close to their homes. 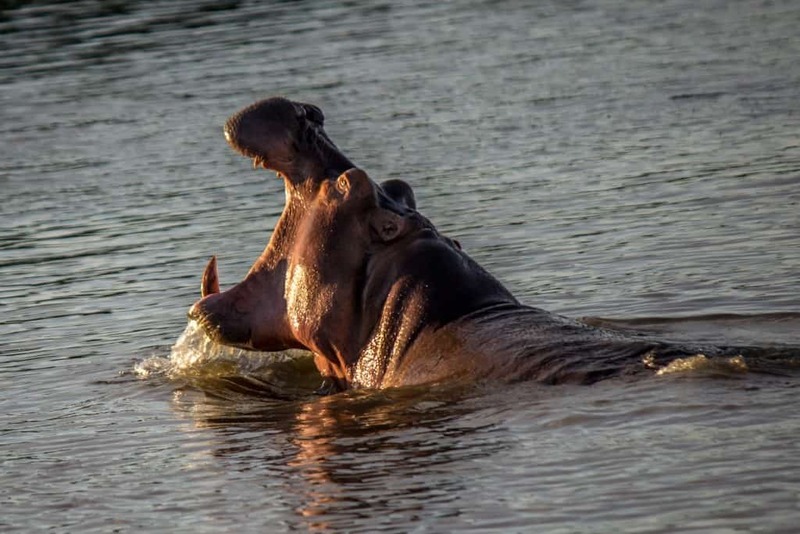 Hippo meat is also seen as a delicacy in Central Africa and often sold for high prizes. 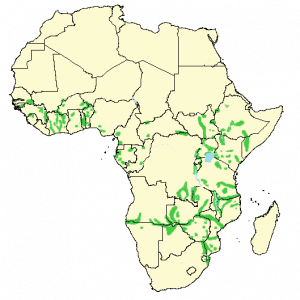 Mission: To protect remaining populations of both hippo species. Mission: To negotiate human-hippo conflicts and educate residents about ways to coexist with hippos, and promoting tourism in the region. 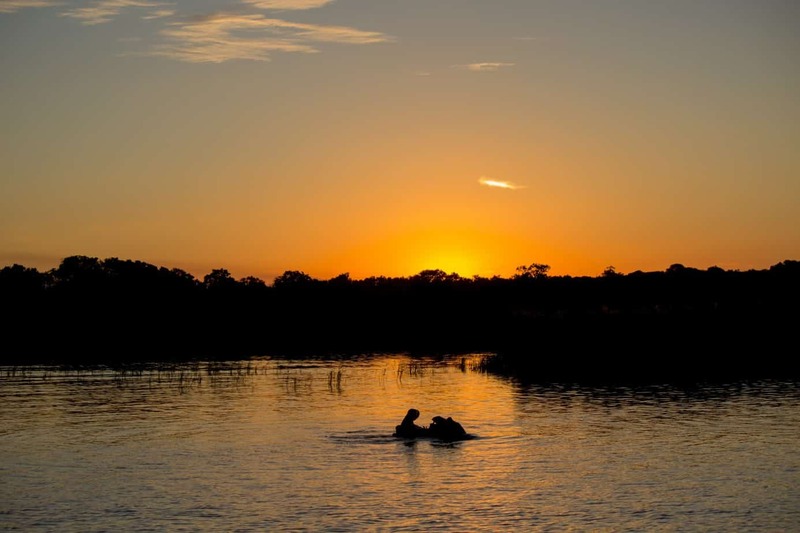 Mission: To protect the hippo’s habitat by providing funding and improving infrastructures of parks.